We are patient and committed investors with a view towards the entrepreneur’s long-term success. We take an artisan approach to venture capital because every company is unique and different. Our portfolio companies benefit from our extensive enterprise relationships by building strategic partnerships and accelerating revenue. The strength of our firm resides in our team approach to venture capital. We invest in expansion-stage companies post product with early customer success. We look for companies that are in the early efficient growth stage of their life-cycle. We seek to invest in companies at the precipice of their inflection point. We characterize “early” as companies that typically have between $1-$10 million in revenue. Other proxies of revenue include bookings, annual recurring revenue (ARR), orders, etc. We’re seeking meaningful top-line traction in companies. We love “efficient” companies because these entrepreneurs tend to be budget conscious and haven’t burned through a lot of capital in order to achieve early product market fit. We often look at the capital-to-revenue ratio, how much capital have you raised relative to the revenue traction you’ve achieved to date. We invest in “growth”. Most of the companies we invest in will typically grow top-line revenues at least 200-300% the year after we invest. We focus exclusively on enterprise software and hardware. We help entrepreneurs accelerate revenue and reduce costs. New Customer Introductions: We seek to deliver demonstrable revenue acceleration through targeted introductions. Geographic Expansion: We assist entrepreneurs in scaling globally with channel partners in Asia, beginning with Japan. Access Parts Supply: We help companies access high quality, reliable parts from the initial R&D to scale-up phase of product development. Manufacturing: We advise entrepreneurs on manufacturing feasibility in order to develop products at global scale. Our families came to America with a one-way ticket, little money, and our entire lives packed in a few suitcases. Growing up in immigrant households, we lived by stretching a dollar as far as possible. And in order to assimilate into the American culture, we’ve developed an insatiable curiosity to learn from anyone, anywhere. We do not take anything for granted. Even though we grew up with very little, we embraced the American Dream that by doing an honest day’s work, we can achieve success. Through grit and determination, we fought our way and worked all throughout our childhood and school to pay for our own education. Our paths crossed after college, where we became roommates and have remained friends for the past 15 years – and counting. We believe it’s not a coincidence that some of the most valuable and iconic technology companies in the U.S. were founded or co-founded by immigrants or children of immigrants. These entrepreneurs include Steve Jobs (Apple), Sergey Brin (Google), Jeff Bezos (Amazon), Eduardo Saverin (Facebook), Larry Ellison and Bob Miner (Oracle), Andrew Viterbi (Qualcomm), Jensen Huang (Nvidia), Max Levchin, Luke Nosek, Peter Thiel, and Elon Musk (PayPal), Jerry Yang (Yahoo), Pierre Omidyar (eBay), and many more. Our history shapes our firm’s values of being budget conscious, building authentic relationships, and upholding integrity. We take our values seriously, and we consider ourselves lucky to have landed in venture capital careers where we can help the next generation of entrepreneurs with those similar values achieve their success. Our careers have included experience in finance, operations, and venture capital. We have been trained by leaders and legends on Sand Hill Road having invested at Kleiner Perkins Caufield & Byers (KPCB) and Institutional Venture Partners (IVP) – both firms were founded in the early 1970s and have backed some of the most iconic companies in the world including Amazon, Google, Netflix, and Twitter. John retired from Apple in October 2015 as their Vice President of International after almost fifteen years. He was responsible for the largest revenue piece for Apple, culminating in over $100 Billion in his last year. Prior to Apple, John was the CEO of Academic Systems, an educational content company. For the ten years before that, he served as the Vice President and General Manager of North America for Adobe Systems. 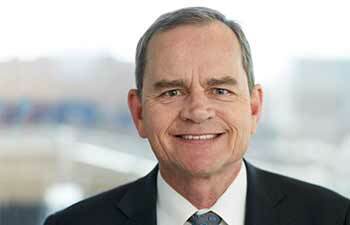 Earlier John held sales management positions at both General Parametrics Corporation and Texas Instruments. He earned his Bachelor’s degree from U.C. Davis. Kevin Chou is the Chairman and co-founder of a new eSports company bridging Silicon Valley technology savvy and Korean gaming preeminence. KSV eSports (Korea + Silicon Valley) is Kevin’s second entrepreneurial venture. 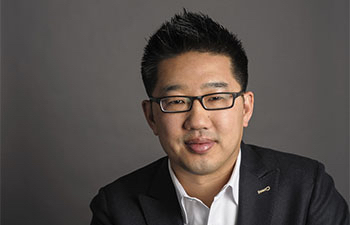 Previously, Kevin was CEO and co-founder of Kabam, the leader in developing console-quality mobile games. Kevin led the company from business plan founding to over $400M in annual revenue. Kabam was profitable from 2012 until the sale of the company’s studios to Netmarble, 21st Century Fox and GAEA, which in total generated nearly $1 billion in value. Kevin has raised over $200M in capital for Kabam from investors including Alibaba, Canaan, Redpoint, Google, Intel, Time Warner, and MGM. With products that have been used by over 300 million users, Kabam has developed leading partnerships with Marvel, Star Wars, Fast & Furious, Lord of the Rings, and Hunger Games. Charles Huang has been entertaining people for over 18 years. He co-founded RedOctane in 1999 with his brother, Kai. 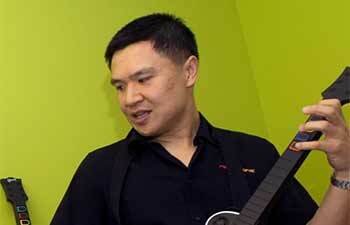 Together, they co-created Guitar Hero. In 2007, Guitar Hero became the 2nd video game in history to exceed $1B in annual sales and was the best selling video game in the world in 2007 and 2008. Life to date sales for the franchise exceeds $5B. Activision acquired RedOctane in 2006. Since 2013, Charles has served as a Trustee to the University of California at Berkeley Foundation, where he graduated with a degree in Asian Studies. Charles and his wife, Lillian, initiated the Huang Scholars Program, which sends Cal students to study Chinese language and intern in Greater China. Charles serves on the board of several startups in video games, connected toys, and music technology. He also advises several VC and PE funds. Charles was born in Taiwan, and Lillian was born in Shanghai. They are the proud parents of two daughters, Kaylan and Charley. 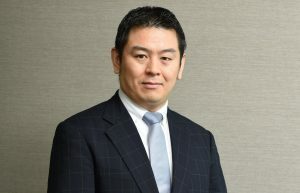 Hiroaki (Hiro) Kuwajima is the President of Linkers International Corporation, running the country-wide innovation platform in Japan with extensive corporate connections particularly among the Japanese manufacturing, construction, food, mobility, and materials sectors. Simultaneously, Hiro is conducting research on Japanese companies seeking innovation activities in Silicon Valley as a Visiting Scholar at the University of California, Berkeley. Prior to Linkers, Hiro worked on global commodity trading at Mitsubishi Corporation, and later in strategy consulting. He was also the CFO of the Japanese consulting firm and think tank Aoyama Shachu Corporation. Hiro earned an M.B.A from Harvard Business School and M.P.A from Harvard Kennedy School. He also graduated with a B.A in Economics from the University of Tokyo, and was appointed as a Japan Delegate of the Eisenhower Fellowship based in Philadelphia. 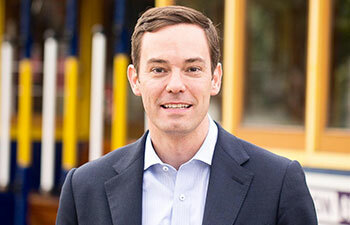 Mr. Ryan Popple serves as the Chief Executive Officer and President of Proterra, Inc. Mr. Popple is a Partner of Green Growth Fund I, L.P. 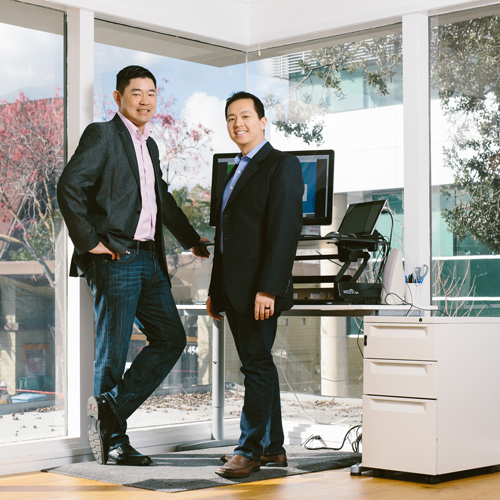 He is an Investment Partner at Kleiner Perkins Caufield & Byers and has been its Partner since April 2010. Mr. Popple joined Kleiner Perkins in April 2010 and is a member of the Greentech and growth stage team. His primary focus has been on sustainable transportation technology as a result of his experience working with advanced vehicle and alternative fuel technologies. Prior to joining KPCB, Mr. Popple was instrumental in the successful capitalization of Tesla Motors and the commercialization of its first-in-kind Roadster. He served as Senior Director of Finance at Tesla Motors, Inc., he and his team took it from pre-revenue to $100 million in commercial contracts and an IPO filing in two years. In addition, Mr. Popple has traditional energy finance experience with both ExxonMobil as Treasury Analyst Intern in 2005, at Cilion as Senior Financial Analyst from 2006 to 2007 and Chevron. He has also provided support to several early-stage cleantech ventures in business plan and financial model development. He was an Armor Cavalry Officer in U.S. Army from 2000 to 2004. Mr. Popple served as Director of Telogis, Inc. since 2013. Mr. Popple holds an M.B.A. from Harvard Business School, where he was a Baker Scholar and a B.B.A. in Finance from the College of William & Mary. ©2018 Conductive Ventures. All rights reserved.